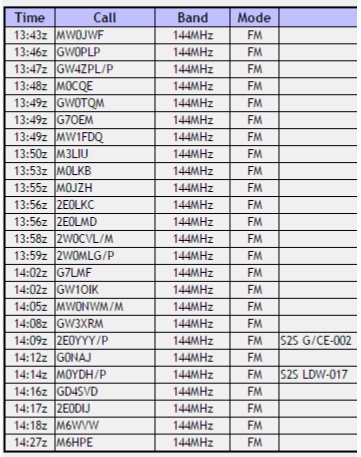 M0PLA/P SOTA Activations: 15th April 2017. GW/NW-002 SOTA Activation visit. Grid SH 684644. Altitude 1064M. Our first attempt at a 10 pointer summit, Carnedd Llewelyn in North Wales. We left Telford (Home QTH) at 08:10 a.m. and headed for Shrewsbury, we had to pick up supply's for the bacon and black pudding roll's for later as yesterdays Bank Holiday Friday left us with no time to shop. We arrived at our car park grid SH 68510 60281 11:10 a.m. and went to the farm house to pay for parking, it is now £2 and increase from the earlier blogs that I saw that said £1. The farmer that we saw was very friendly and asked where we were heading and asked what route we were taking. He then agreed that was the best route and spent time going over the route with us. The start of the ascent to get to Ffynnon Llugwy (the lake) is around 1.7 miles and a climb off 260 meters, it looks easy but a strain on the legs at the start of the journey and this took us around 50 minutes. Time for some nice photo's and a quick breather before the next 1/2 mile walk and climb of another 200 meters (30 minutes). The track turned into a near vertical small rock climb near grid SH 69287 63510 unless we were on the wrong route but I don't think we were as seen on the video below filmed on our Descent. I managed to get to the summit at around 13:35 p.m. and set up my 2M Dipole and started to call CQ Sota at 13:43 p.m. wow what a pile up. 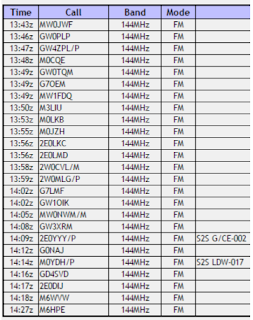 25 QSO's in all and 2 S2S's. I must have been asked by at least 5 walking groups today about what I was doing with the things attached to my pack (mast / antenna), it was a great day and we both enjoyed it. We managed to get back to the car for 16:30 p.m. and headed back home.